A little bit of backstory from the bride: Conor and I met at the beach while I was there with a group of friends. He got my number and continued to talk to me, despite us living 7 hours apart. We ended up dating long distance for over a year. Then we both moved to Texas (me Dallas and him Abilene) where we continued to do distance, but this time 3 hours apart. Q: What was your dress like? Q: What was your color palette and style vision? A: Colors were steel blue, golds/ silvers, and light blush. My style vision was classic and romantic but simple. 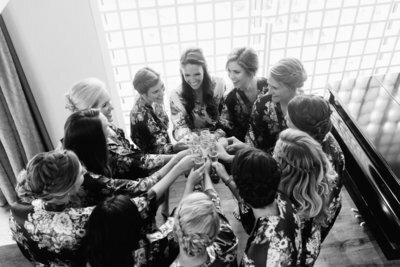 The bridesmaids dresses described by the bride: The dresses were from Show Me Your Mumu! I had each girl pick her own style dress in the same steel blue color. Each one chose a different style and they turned out great! 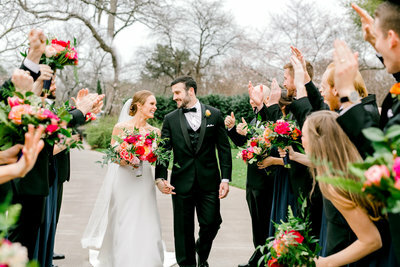 I got the gray wraps last minute and they turned out great in pics and perfect for the day since it was so cold! 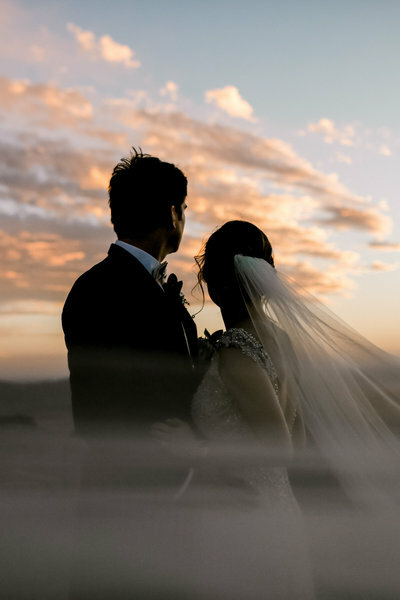 The flowers described by the bride: The flowers were white with hints of blush and light blue. 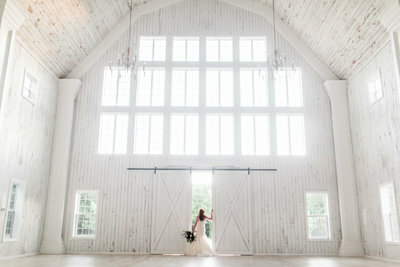 Just like my vision; romantic but simple! Q: What was your favorite memory from the day? A: That’s so hard!! The whole day was amazing. I loved just dancing with Conor and all of our friends and family that traveled from all over! The first look and last dance were also two of my favorite things, very special.